Pakistan’s Strategic Plans Division (SPD) earlier this month tested improved Nasr short-range ballistic missile with flight maneuverability improvements. Pakistani Army Chief General Qamar Javed Bajwa immediately commented that “Nasr has put cold water on cold start” it was a direct message to his counterpart General Bipin Rawat, who had dropped a bombshell by acknowledging the existence of the Army’s Cold Start strategy earlier this year. Rawat had stressed that India needs to keep reorganising its limited war concept along more aggressive, offensive and keep focussed on streamlining mobilisation while still maintaining the fundamental Strike Corps. Pakistani defence analysts and Military planners had long presumed that Indian army had abandoned this limited war concept altogether after the development of Pakistan’s ‘Tactical nuclear weapons’ (TNW) along with Nasr SRBM but Rawat’s comments came as a surprise instantly creating a panicky situation in Pakistani Army. Since 2013, Pakistani defence analysts and its military have been propagating to its media and its people that Nasr and its TNWs have defeated India’s cold start doctrine, while India has been restructuring its Strike Corps to fight under heighten threat level while piecing together required firepower to effectively deploy Cold Start doctrine. By giving Nasr a 10km increase range and some tweaked flight manoeuvrability, Pakistan it self-has exposed its panicky state of mind to India in response to testing of its QR-SAMs recently. India’s Strike Corps has been carrying out Military exercise simulating fighting war under a Nuclear environment to provide additional counter battlefield weapon to Nasr, India has quickly developed QR-SAMs which can provide sufficient battle field air defence which will be mobile and will move with the Strike Corps to give level of layered aerial defence against SRBM like Nasr . Pakistan also fears that India might also put together Cruise Missile Defence System (CMDS) which along with QR-SAM will provide India’s Strike Corps a layered battlefield Aerial Defence systems against cruise missiles like Babur, Raad and Nasr SRBMs. An addition of CMDS and QR-SAMs will certainly complicate Pakistan equation of using Tactical nuclear weapons within its own territory, the risk of a high casualty of its own civilians and India launching full-scale Nuclear retaliation will play high if India is able to effectively counter Nasr. India’s upcoming Pralay Tactical Battlefield Short ballistic missile will altogether bring a different dimension to India’s Cold Start doctrine. Pralay which will be based on Hybrid Shaurya Missile technology will make it less vulnerable to existing anti-missile defence systems while providing conventional offensive firepower to the moving Strike Corps. 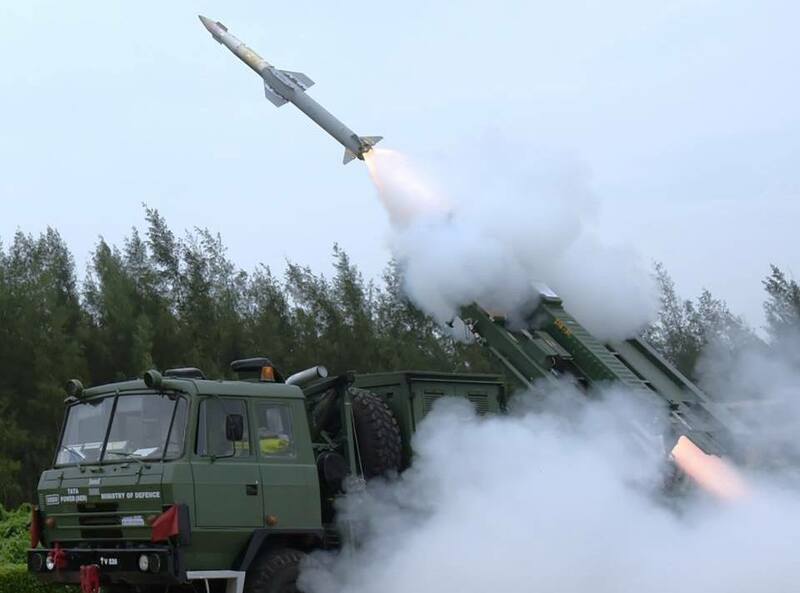 QR-SAM and Pralay both will be Truck based Canister Missile systems which will allow India’s Strike Corps to use them as Shield and Sword on the battlefield. India slowly but steady will deploy Series of Weapons which will be part of India’s Cold Start Doctrine to ensure that doctrine will remain doable for Indian Army if a need arises to punish Pakistan in a case of another 26/11 type of attack leading to large scale casualty. Keeping Cold Start Doctrine alive is in India’s interest to keep Pakistan in check and prevent large scale state sponsored terrorism against India backed by Pakistan. Moment Pakistani Military sense that Cold Start Doctrine has been countered and defeated, fear of retaliation will also be gone and back will be misadventures of Pakistani generals who dream to go down in History books as who destroyed India and liberated Kashmir.